Slowly but surely, pagan religions are gaining respect in countries traditionally dominated by Christianity. 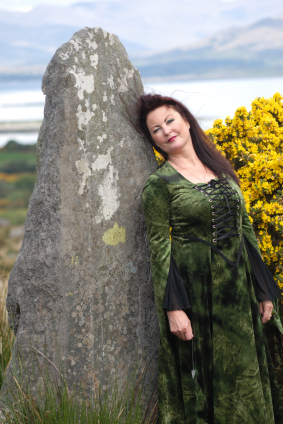 This has been possible in part through greater exposure in the mainstream media, and a new National Geographic documentary on Wicca is one example how people are learning more about modern-day paganism and earth-centered religions. Still, some people harbor an irrational fear of witchcraft, magic, and nature worship, so it would behoove us to take a closer look at these practices and find out what they really teach, in this case by exploring Wicca. What we find is a religion steeped in the numinous, characterized by esoteric ritual, and defined by compassion for humanity and reverence for the power of nature. One of the chief aspects of Wicca that National Geographic will be exploring is the celebration of nature and the bounty nature bestows on human beings. While there are variations in belief among Wiccans—some believe in literal nature spirits while others treat these spirits as metaphors—in general, Wiccans worship the gods of nature and believe that the gods grant them the power of magic in return for their devotion. Seasonal cycles and connectedness with the rhythms of nature are also important to Wiccans, and they mark these cycles with holidays such as Samhain (“SOW-uhn”—the Celtic new year on 1 November on which Halloween is based) and Beltaine (“BYEL”-tuh-nuh—the Celtic festival marking the return of summer, on which May Day is based). Traditionally, understanding natural cycles has been crucial for human beings to sow and reap crops, but many Wiccans feel that modern peoples can also benefit from honoring these rhythms, since human beings and their environment are always being affected by the movements of heavenly bodies like the sun and moon. of magic for selfless or benevolent purposes. It is simply a tool the good of which depends on the intent of the user. Wiccans are well-known for using magic for benevolent purposes, such as healing or protection. Magic plays a major role in Wiccan ritual and ceremony, and the ritual of Beltaine is explored by National Geographic in its documentary on the religion. While many modern-day Western worship services, as in American Protestant Christianity, are highly informal, ritual-impoverished, and centered on abstract discussions of theology, many Wiccans place great emphasis on the importance of physical actions themselves and how these ground us to the earth by manifesting belief through performance. An analogy to this focus on ritual is still found in the Christian Eucharist, or Communion, as well as Christian baptism or christening. While blood-sacrifice historically was practiced by many pagan cultures, the modern religion of Wicca has no connection with such practices and actually teaches against harming any living being. For the most part, Wiccan ritual is a way to draw on the power of the gods of nature through a gesture of devotion and respect. Another basic principle of Wicca is reverence for the goddess, or the life-giving Mother Earth as found in nature, although many Wiccans also recognize a complementary god-and-goddess binary aspect to the divine. Some people are uncomfortable with this latter idea, however, since they believe it simply reinforces the unfair, harmful, and stereotypical gender binary of the aggressive male and the submissive female, which itself is a product of patriarchy, an institution Wiccans have generally eschewed. These individuals have their own unique, non-sexist way of worshipping the divine. This approach actually works well within Wicca, which has been committed to honoring women with positions of authority, leadership, and respect through coursework and training to become high priestess or master of Wicca. 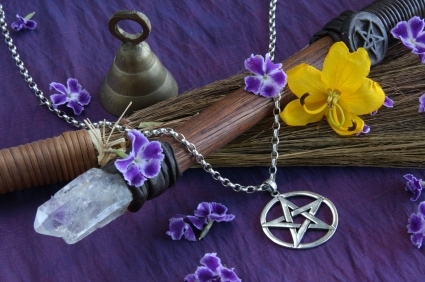 The essence of Wicca teachings might be distilled into the following: a respect for life and the power of nature inspired largely by traditional pagan customs and principles as well as the sensibilities of modern-day movements like environmentalism and feminism. Of course, there are probably other ways of describing or defining the basic values of this faith tradition. As they gain more positive exposure in the media, modern-day pagans, including Wiccans, are gradually earning the trust and respect of their neighbors. It will take some time to convince cynics that Wiccans do not slaughter goats or eat babies in satanic blood-rites—especially since they do not believe in either Satan or blood sacrifice—but with a patient commitment to educating people with a positive attitude, Wiccans and their allies will hopefully show that in many ways they are just like everyone else. Well-balanced coverage by influential organizations such as the National Geographic Society will go a long way in achieving this goal, as will greater integration in online social networks, which are ideal tools for familiarizing people with traditionally misunderstood groups. Like other religions, Wicca has something important to teach us—in this case, about our place in and relationship with the natural world—thus, the Universal Life Church Monastery welcomes followers of earth-based religions into its community of ministers, priests, pastors, and other clergy members ordained online. Learn more about paganism, neopaganism, and other nature-based religions by visiting our Guide to Divinity.